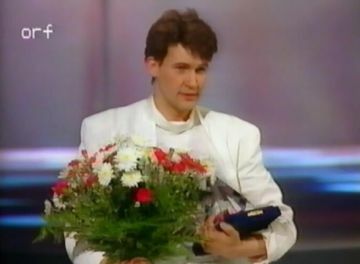 Winning the Eurovision Song Contest can usually mean something for an artist. It can turn them into a global superstar, or it can be a low point in their career. Nonetheless, winning one of the most prestigious music contests in the world is an achievement in itself. 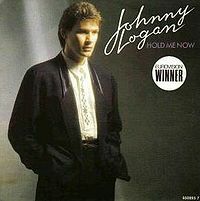 Johnny Logan (real name: Sean Sherrard) was born in Australia and moved back to Ireland with his family at the age of three. He composed his first song at 13 and took his first stab at Eurovision by entering the 1979 Irish national final. 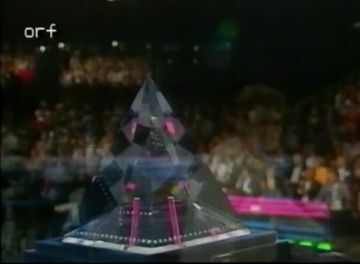 "Hold Me Now" is classified as a traditional Eurovision power ballad. It is sung from the point of view of a man whose lover is leaving him for someone else. He pleads with his love to "touch me the way you used to do" in a way that would leave him good memories of the time they had together. As the two prepare to part, he implores her to "fill this memory for the last time", and despite the sad nature of their breakup, he still has some optimism that though they are apart, they'll "always be together, forever in love". After the Eurovision victory, the song enjoyed great success in parts of western Europe, reaching #2 on the British and Swedish charts. Two subsequent singles fared just as well, and this made Johnny decide to focus his career mainly in Europe. 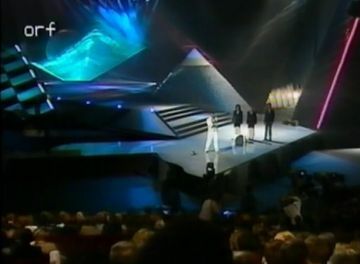 In 2005 to celebrate the Eurovision Song Contest's 50th anniversary, a special contest was held in Denmark to pick the greatest Eurovision song of all time and "Hold Me Now" was ranked #3 behind "Waterloo" and "Nel Blu Dipinto di Blu"